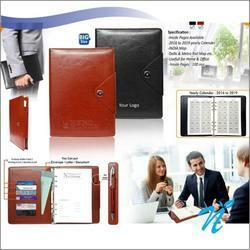 We provide a wide range of Leather and Leatherette Products which includes Conference folders, Wallets, Visiting Card Holders, Passport holders, Cheque book holders etc. 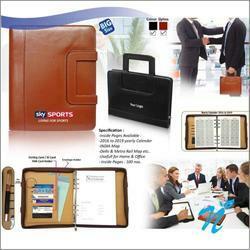 We provide an exclusive range of Conference Folders. This is a Big size conference Folder. 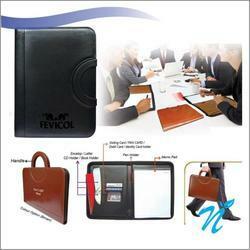 This conference folder has many pockets to keep your Books/ CD's/ Documents/ Cards etc. This is an elegant option in Conference folder with Option. 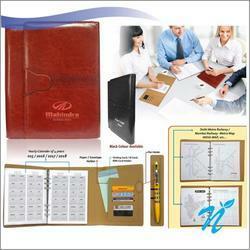 We provide a good range of Office Planner Diary for your regular use. 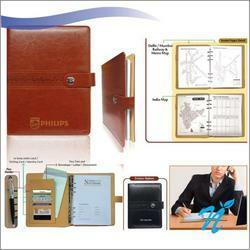 Attached is an elegant option in Planner in Small Size. Good space for Branding on Front and back side of the planner. In the diary 4 years calendar available. India MAP / Delhi Metro / Mumbai Metro Rail Map available. 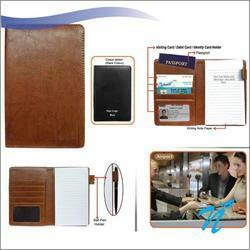 Visiting Card Holder / Debit Card Holder / Identity Card Holder Slots available. Attached is an elegant option in Planner in Big Size. 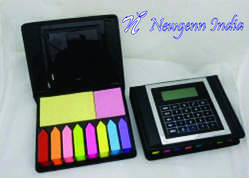 We are one of the leading manufacturer and supplier of Calculator With Memo Pad. 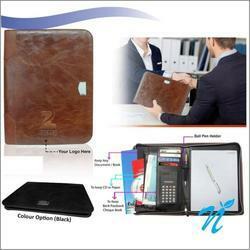 We obligated to meet the quality standards as Calculator With Memo Pad 084-DA. We obligated to meet the quality standards as per the customer demand. 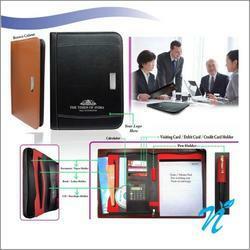 We provide a range of quality Conference Folders for your regular office / Home use. 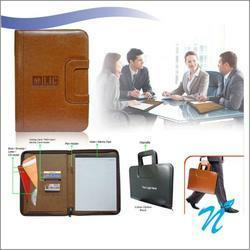 Spacious Folder which can accommodate your Cards/ Cd's/ Files/ Magazines etc. 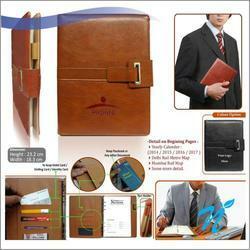 We provide a good range of Office Planner Diary for your regular use. Attached is an elegant option in Planner in Big Size. Good space for Branding on Front and back side of the planner. Attached is an elegant option in Planner in Smal Size. 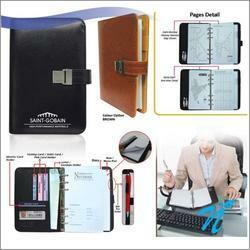 We provide a good range of Office Planner Diary for your regular use. Attached is an elegant option in Planner in Big Size. 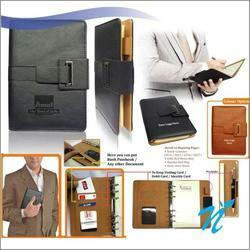 Attached is an elegant option in Planner in Big Size with Handle. 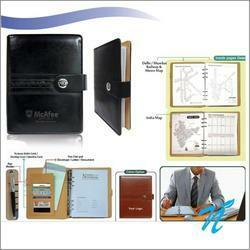 We provide a good range of Office Planner Diary for your regular use. 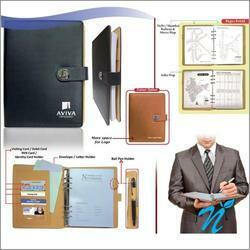 Attached is an elegant option in Planner in Small Size. 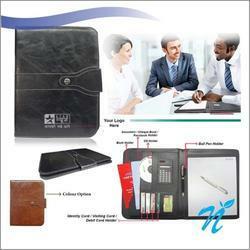 Passport holder with Notepad and with multi sections to hold your Debit/ Credit cards, Pen/ Visiting card etc.